BanyanTreats has Roselani’s newest flavor: Strawberry Shortcake! 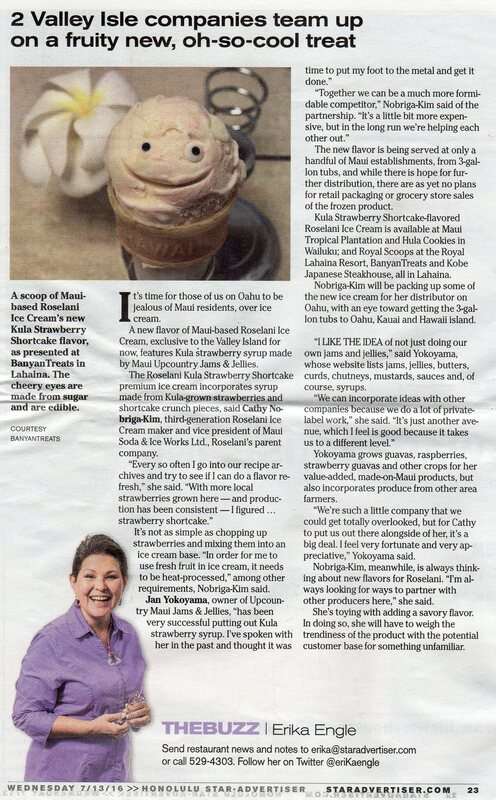 The Honolulu Star-Advertiser recently ran an article about Roselani’s new ice cream flavor: Strawberry Shortcake. BanyanTreats one of the few outlets where you can purchase this yummy new ice cream made with local Kula strawberries and little baby shortcakes. Roseanne’s new flavor is available at BanyanTreats!